LOS ANGELES: Here at the E3 2008 games expo, I got the chance to spend some quality time with early builds of Nintendo's latest 'Wii Series' games: Wii Sports Resort (a sequel to Wii Sports) and Wii Music (once&#160;planned as a&#160;Wii console launch title). The early verdict: Both deliver the irreverent fun you'd expect, coupled with some crafty control methods that you perhaps wouldn't. Both are sure to be popular--even Wii Music--though I'm still not 100 percent sold on it. Wii Sports Resort will require the Wii MotionPlus add-on that Nintendo unveiled earlier this week. 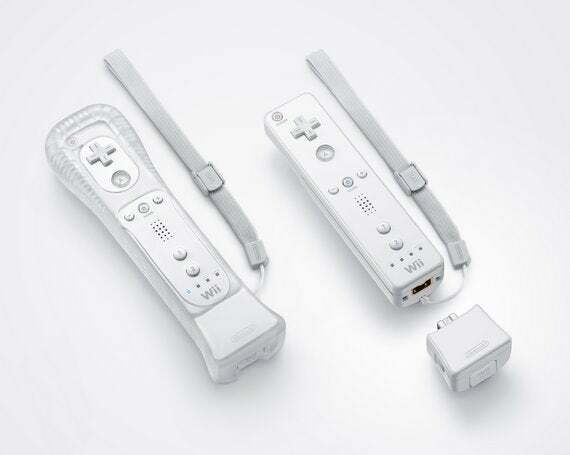 The small accessory connects to the tail of the Wii remote to deliver dramatically better arm motion sensing. Nintendo claims it delivers 1:1 precision and having tried it, I'd have to say it goes pretty close, tracking movement even when you're pointing away from the screen/sensor bar. That kind of response opens the flood gates to all manner of new game play styles, and Nintendo let me play three mini-games: Power Cruising (Jet Ski), Disc Dog (Frisbee) and Sword Play (because who doesn't fence at the beach). Power Cruising reminds me of Wave Race 64 but with Mii-character style graphics. You hold the Wii Remote and Nunchuck together to form a handlebar that steers your water scooter through a series of gates, slalom style. The Wii Remote's trigger (B) accelerates and flicking your wrist initiates turbo. Also straightforward: Disc Dog sees you throw a flying disc to your virtual man's best friend--arm movements only--no button pressing needed. You receive 100, 50 or 10 points based on your accuracy (and if fido actually catches the disc). Finally, Sword Play looks to be an early contender as the "Wii Tennis" go-to game of Wii Sports Resort. Not only does it have the highest potential to break any vase and bruise any arm within swinging distance, but it's the only activity I tried where two players could compete via split screen. Literally double the carnage! The Wii MotionPlus' increased controller precision is most apparent here; it makes chopping, hacking and lunging intuitive and accurate. The big question then: how much will the Wii MotionPlus controller cost? Nintendo would only say that it'll come bundled with a copy of Wii Sports Resort in Spring 2009. No word on it being sold separately. In the meantime, Wii Music (which doesn't require the WiiMotion Plus add-on) is set to launch these holidays; read sometime in November or December 2008. Unlike RockBand, Guitar Hero, Rock Revolution, et al, Wii Music more or less provides a jamming playground where it's perfectly fine for players to make mistakes...almost to a fault. I like the concept of granting players a taste of the connection created when you play music with another person, but the lack of a discernable goal in what I played did feel slightly aimless, at least in the jam mode. Sure I could see where I was supposed to play, but wasn't really penalized (even in terms of sounding all that bad) if I just rocked out in my own world arms flaying wildly. Over 60 instruments will be available: A vast variety of string, woodwind, brass, and percussion options; the piano, too. For instance, the Nunchuk and Wii remote let you glide an invisible bow back and forth at your shoulder to play violin, strum invisible space to play guitar, or rattle away when you play tambourine. Various buttons perform a range of flourishes, both visual and musical. Word is that the game will include about 50 songs, including public domain folk songs (I played Twinkle Twinkle), and more modern licensed content (I also played the Mario theme song, but expect some real songs you'd hear on the radio, too). Nintendo says it's not really thinking about downloadable content, instead focusing more on letting players use their imagination to change up the style of songs provided. A death metal version of Yankie Doodle? You got it! Four players can jam in your lounge room at once. You can also use WiiConnect24 to save an instrument jam as a video and share it with a friend. They can then record a musical part over it and send the combined piece back to you. Up to 6 parts can be layered, six melodic and two percussion. Speaking of percussion, Wii Music has an absolutely rock'n, free form Drum mode. And you know how most real-life drummers hate being told when to smack skin in Rock Band? Well, they're going to absolutely love this while non-drummers will have to go back to drawing board (or, mercifully, drum lesson mode in this case). Case in point: I rock out at Hard on drums in Rock Band. Here, I couldn't even put a basic fill or loop together. That's because Wii Music features a full virtual 5-piece (8 counting cymbals) drum kit that you control using the Nunchuk, Wii Remote AND--if you have one--the Wii Balance Board. Your left foot on the Wii Balance Board opens and closes the hi hat, while your right foot operates the kick drum. The Nunchuck (in your left hand) and Wii Remote (in your right) essentially operate either side of the kit and the D-Pad or analog stick control which tom you strike. Drum mode is what will sell Wii Music, particularly what I'm told Nintendo has planned for the drum lessons. Finally, Wii Music's Orchestra mode has also already been demonstrated. You'll be able to control a Mii character orchestra and gain rank as a conductor rated as passionate, graceful or methodical. But like I said, I think it'll be all about the drums. Isn't it always?